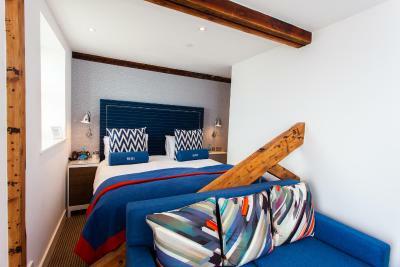 Lock in a great price for St Ives Harbour Hotel & Spa - rated 8.2 by recent guests. Couldn't recommend this hotel more! Amazing staff, great food, great views and great location. Really can't speak highly enough of this hotel and the staff. 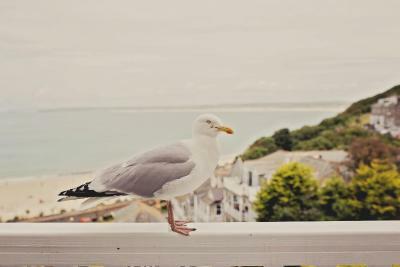 Great location overlooking St Ives Harbour. 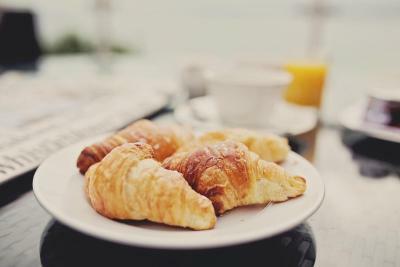 Breakfast was amazing!! 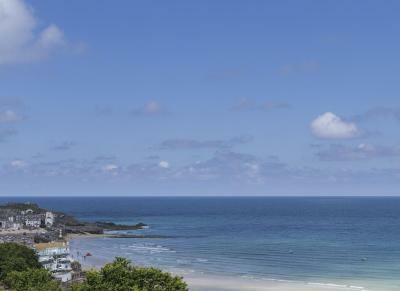 Very close to the beach and also St Ives town center. Warm welcomed by the receptionist. Cosy room waiting for us as we expected. Thanks! Staff are very welcoming. Buffet breakfast is superb. Water bottle provided is a bonus. Great location and the rooms were nice. Nice extra touches like the Sherry and gin, and bathrooms were clean and big. Location was perfect, so close to the beach and town. Staff were very friendly and helpful, always asking how we were and if needed help. 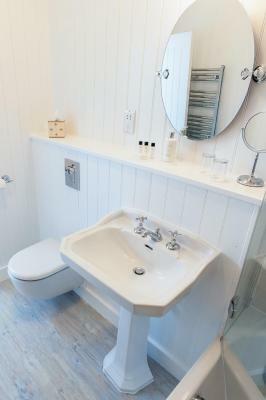 Plenty of useful facilities that were clean and of high standard. Breakfast was varied and the views were superb. Great location and fabulous staff and facilities. We booked a table for dinner, and had breakfast twice at the hotel. The food was excellent and service impeccable. We used the spa and found it to be spotlessly clean and relaxing. A real gem of a hotel. The hotel was very friendly with lovely helpful staff with an excellent restaurant. We would definitely stay again next time. The Spa was a definite positive extra with fantastic facilities and amazingly friendly and helpful staff that offered great advice and made our stay a great experience! 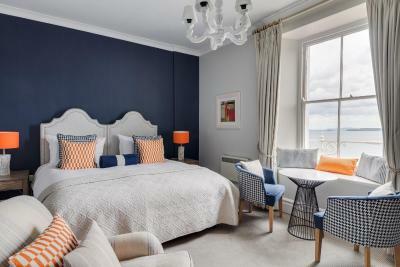 One of our top picks in St Ives.Overlooking Porthminster Beach with impressive views across St Ives Bay and Godrevy Lighthouse, The St Ives Harbour Hotel & Spa offers elegant rooms with free Wi-Fi. Guests can enjoy local seafood in the traditional restaurant. 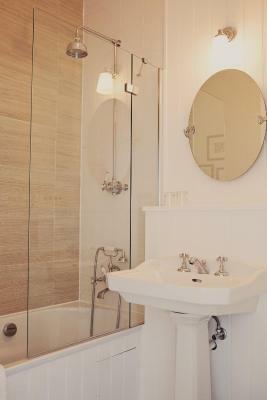 Individually decorated in natural colours, the rooms at the The St Ives Harbour Hotel each have a private bathroom and tea/coffee facilities. All rooms have a TV and radio, and many have wonderful balcony views of the sea. 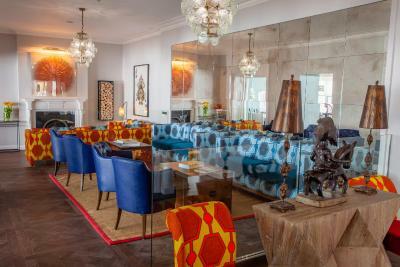 The Terrace Bar and Restaurant serves a seasonal à la carte menu, using fresh local produce. You can try the speciality Fruits de Mer dish, with shellfish caught just 15 minutes’ walk away. 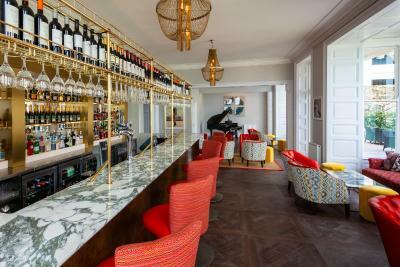 Cornish cream teas and real ales are served in the spacious lounge bar, or al fresco on the terrace. Room service is also available. 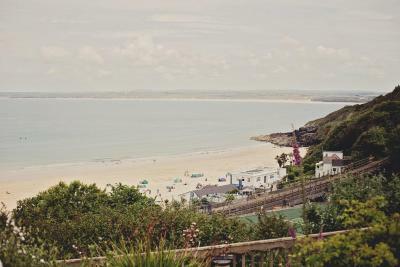 The St Ives Harbour Spa includes an indoor pool and hot tub, a sauna, crystal steam room, state-of-the-art fitness suite, and 4 treatment rooms. Slippers, robes and towels are provided, along with free herbal teas and water. 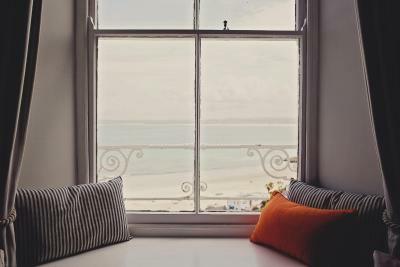 With direct access to the award-winning Porthminster Beach, St Ives Harbour Hotel is a 5-minute walk from St Ives centre. Free on-site parking is available, and the Barbara Hepworth Museum is just a mile away. 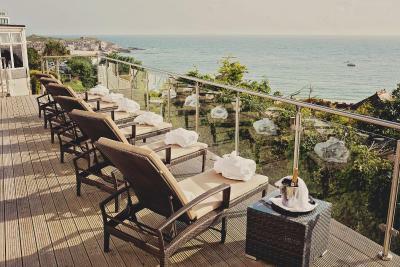 St Ives Harbour Hotel & Spa has been welcoming Booking.com guests since 4 Mar 2010. 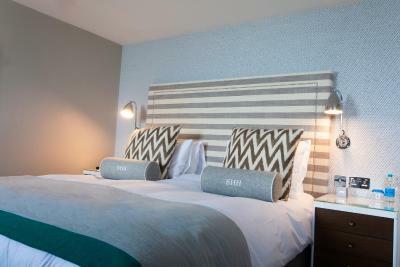 When would you like to stay at St Ives Harbour Hotel & Spa? 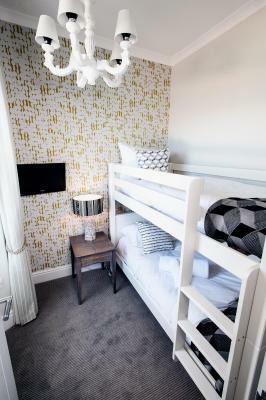 With inland views, this room also features a flat-screen TV, en suite bathroom and tea/coffee making facilities. 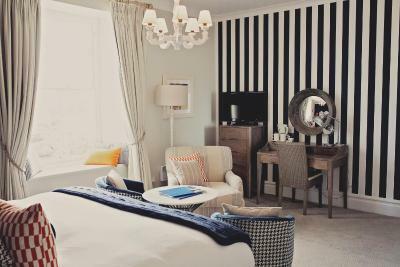 With partial views of the sea and Porthminster Beach, this room also features a flat-screen TV and comfortable seating area. 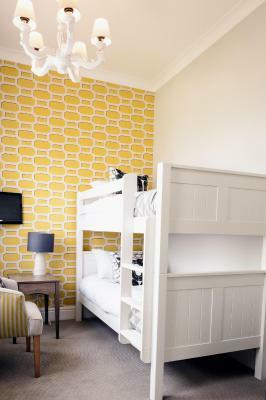 This double room features a seating area, electric kettle and flat-screen TV. 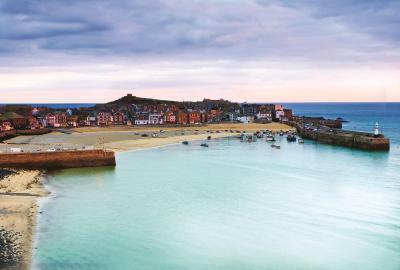 The St Ives Harbour Hotel is idyllically located on the coast of St Ives, making the most of the stunning Cornish coast. 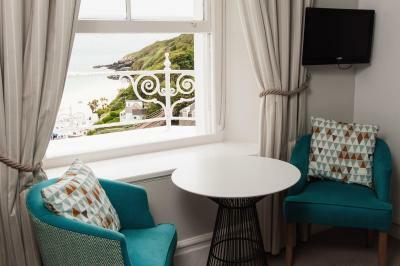 With superb views over the water, and nautical, coastal-themed rooms in cool blues and whites, staying at St Ives Harbour Hotel really is a holiday by the seaside. 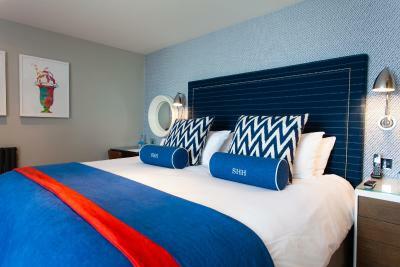 Every evening, fall asleep to the sound of lapping waves and every morning wake up to unrivalled coastal views. And there is no better venue to get married than one where you can say your vows against the backdrop of the sea. We also boast The Terrace Restaurant & Bar, serving delicious food all day whether you’re staying at the hotel or just passing through. 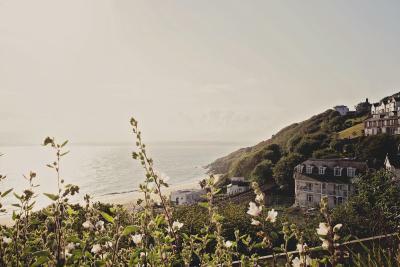 Enjoy an afternoon tea on a summer day, a bottle of ice-cold Cornish lager at Gin o’clock or an exquisite, locally-sourced meal in the evening, all while enjoying the sweeping views over the coast. Not only this, but our superb, fully-equipped Spa comes equipped with a heated jet-stream swimming pool, jacuzzi, sauna and gym. Enjoy a relaxing spa treatment provided by our fully-trained spa therapy team, or wake up to an invigorating Hatha Yoga session overlooking the sea. 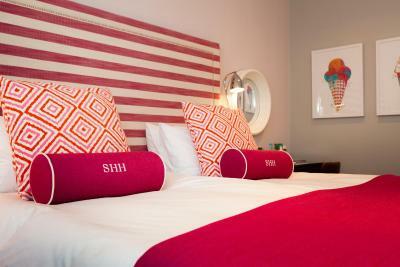 House rules St Ives Harbour Hotel & Spa takes special requests - add in the next step! 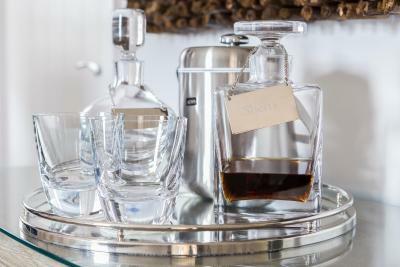 St Ives Harbour Hotel &amp; Spa accepts these cards and reserves the right to temporarily hold an amount prior to arrival. 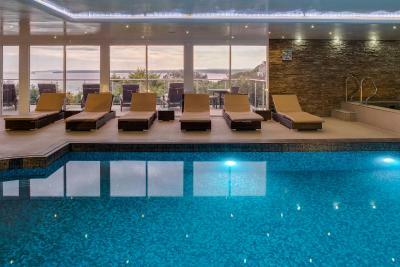 St Ives Harbour Hotel & Spa accepts these cards and reserves the right to temporarily hold an amount prior to arrival. In July and August, check-in is from 15:00. 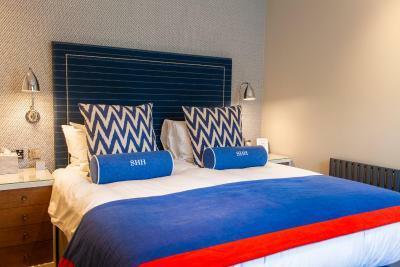 Please note that cots are only available in some rooms. Please note that the allowance for dinner of the Breakfast and Dinner rate is GBP 25. Bathroom needed work. No hooks to hang things. When the lock broke in our room it couldn’t be fixed until the next day so our stuff wasn’t secure that evening when we were out at dinner. The room is tiny with a large bed. There is an insect in the room and toilet. Thank goodness it didn't crawl in my ears. Coffee machine provided but no table nor socket to used . tv size was small and to far away from bed. Pool facilities were small and limited to numbers so we got turned away twice before being able to go in. Breakfast seemed a bit understaffed and had to wait around for someone to serve up the buffet to you. A few of the staff weren’t rude but weren’t pleasant- seemed too busy to be polite. Our room was room 101 and was smaller than expected. Also there was a lot of traffic noise through the window. The window was closed tight. Great hotel though and would definitely stay again. Room 104 had a draught from the window. The menu- same each day - was rather restrictive but kitchen and staff were able to respond to personal wishes. We were rather unlucky with the weather.